HOUSTON -- A Houston police officer has fatally shot an unarmed man suspected of damaging a traffic sign and charging toward the officer three times. Police spokesman John Cannon said Sunday that investigators believe the man was on drugs. The officer was on patrol Saturday afternoon when he saw an agitated man damage a street sign, pace and yell obscenities. Cannon says the officer, identified as K. Levi, tried to calm the man but the suspect charged at him twice. Levi used a Taser on the man twice, but it was unsuccessful. When the man came at him a third time, Levi fatally shot him. The man's name wasn't immediately released. 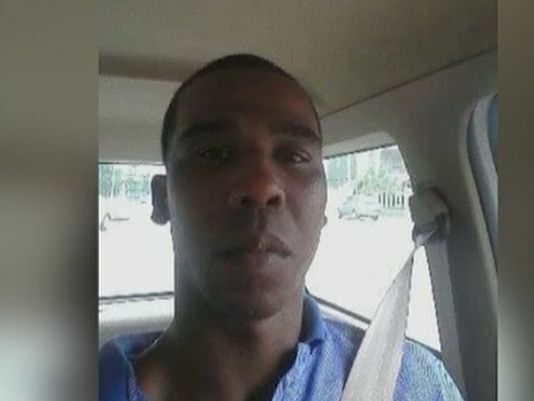 Family and friends identified the deceased man as Peter Gaines, CBS affiliate KHOU reported. They said he was celebrating his 37th birthday this weekend and admitted he may have been on drugs. "He was not violent. He was a sweet guy. He was not a violent person at all, and that's what is bringing tears to my eyes." said Timeko Barber, a friend of Gaines. Witnesses said the police officer had his head down and was visibly upset right after the shooting. Police said the officer has been with the department for four years, KHOU reported. Chris Vasquez said he consoled the officer after the shooting. "He broke down and started crying. He just had his hands on his head and he just started crying and that's when I told him 'Hey everything's going to be alright, everything's going to be alright.'" Levi was put on administrative duty. The suspect and officer are both black.